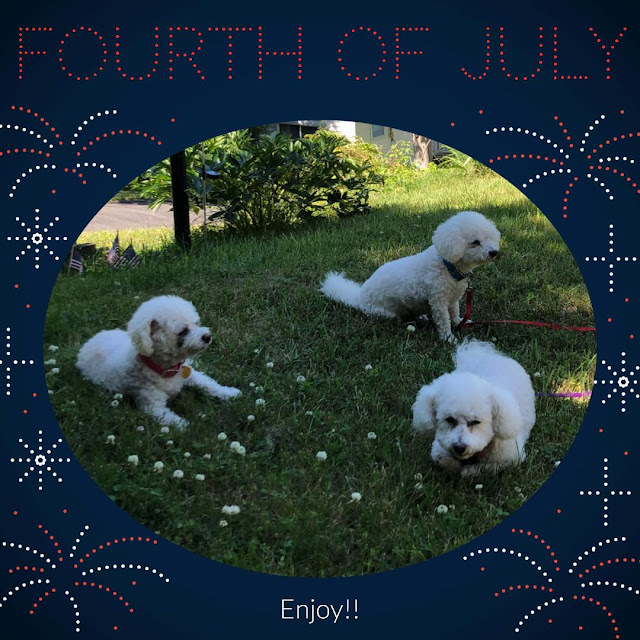 bichonpawz: Happy Fourth of July! Be safe out there and enjoy yourselves! We need some nice shade like you have! 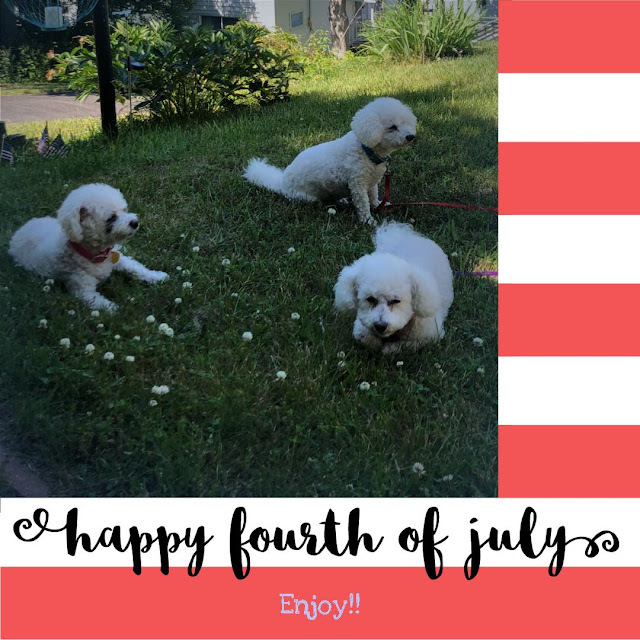 Happy Fourth to you, too! You three are cute as a button (though I don't know why buttons are considered cute); hope that shade keeps you cool all day today! We stayed home yesterday and cooked a big steak on the grill. I got a piece all for myself! Yum! Those some sweet babies right there! Hope y'all had a good day!